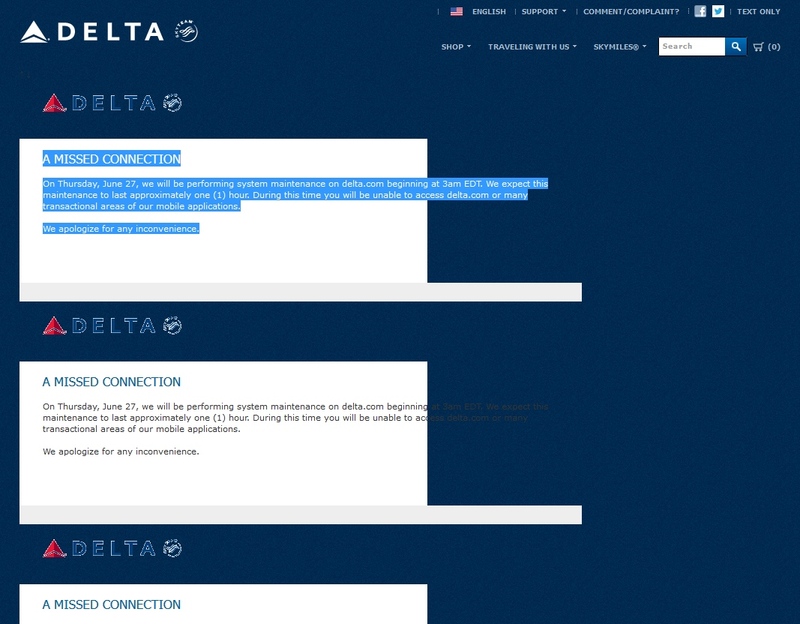 Don’t bother using Delta.com today – it’s busted! EDIT: Delta.com Seems to be back up now as of 2:50PM EDT! EDIT: Delta.com seems to be DOWN AGAIN as of 5:45PM ET! 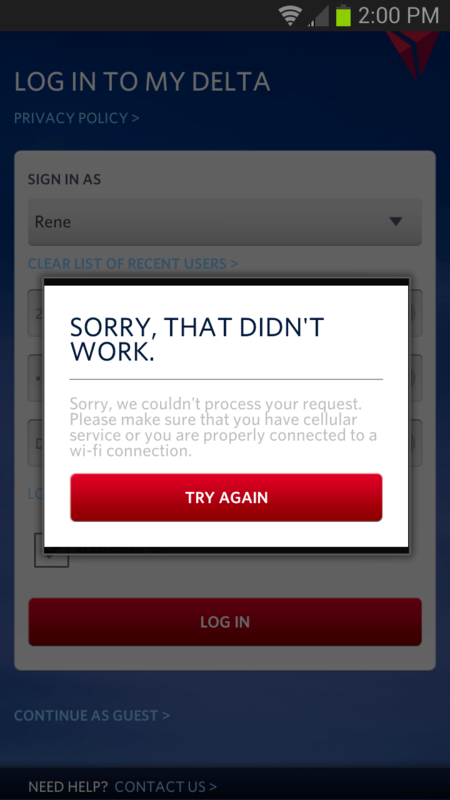 If you can get the site to work it is VERY slow and the Delta phone app is not much better if you are able to log-in at all. I thought it was my computer and network. I literally had my CTO checking out our T1 lines. Thanks for the headsup. I was literally trying to book two flights, and the sites wouldn’t load anything in under 5 minutes. @nic – well there is “normal” busted and then there is totally busted like today! It’s 5:40 ET right now and delta.com is down for me. 6:05 pm EST and it is down for me…..